Hand-knotted and hand-tufted sound similar enough, right? Actually, they couldn’t be more different. Especially when talking cost and value. Generally speaking, tufted rugs cost less, don’t last as long as woven, hand-knotted rugs and can take more time and effort to clean. 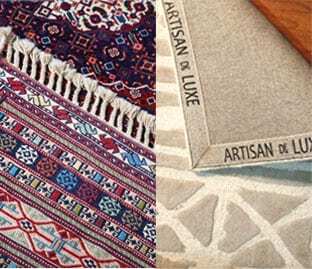 While both types of rugs can hold their own beauty, there are a few major differences in the way they are constructed. The difference between hand-knotted rugs and tufted rugs is found in both the material used and the method of construction. Typically, hand-knotted rugs are higher in quality, take much longer to make, and are considered to be valuable, heirloom pieces. Cleaning these kinds of rugs is a specialized process that calls for much care and expertise. 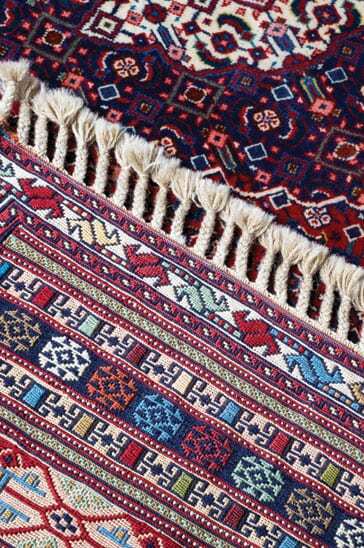 First, hand-knotted rugs are woven on a loom and require an impressive amount of skill and patience. A good quality 9’ x 12’ hand-woven rug may take three weavers, 10 hours per day, six days per week for a period of 14 months. Tufted rugs, on the other hand, are made by punching tufts of material through the back of a cotton canvas. The canvas (scrim) is then covered with latex to secure the tufts in place. Typically, a canvas or cloth backing is glued in place to hide the otherwise unattractive nature of the latex backing. 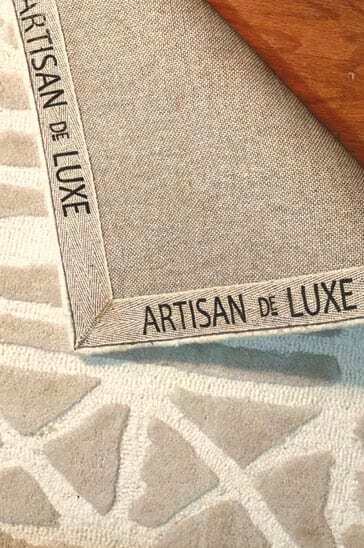 You may find fringe sewn or glued in place on tufted rugs, instead of being woven or tied in. Face fibers are sometimes wool, but often they are polypropylene, nylon, olefin, acrylic, viscose, etc. If you’re an area rug owner, you likely have more than one rug – and you more than likely own a tufted rug. The video below carefully explains what a tufted rug is and how to best care for it. We’re your expert textile cleaner, so if you have any questions about your rugs don’t hesitate to contact us. Area Rugs Take a Beating! What is the Best Method to Clean Carpet?